Please add $25.00 for shipping, handling, & insurance. 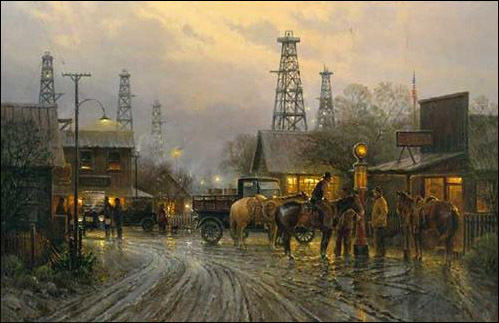 Saturday Night Contract depicts cowboys at a gas station on a rainy evening. Saturday Night Contract copyright© 1988 by G. Harvey is prohibited from being copied. 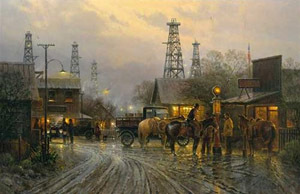 Saturday Night Contract by artist G. Harvey as well as other open and limited edition western paper art prints and canvases, giclees, images, lithographs, paintings, pictures, posters, and reproductions by renowned Somerset House Publishing and Texas Art Press artist G. Harvey can be viewed and purchased at special sale prices at Christ-Centered Art.